The digital revolution is transforming all business departments. Marketing, HR, Sales, Finance & IT all have massive opportunities and considerable challenges thanks to the rapid pace of digital change. Whole industries are being disrupted with newer, faster and more efficient ways are doing things emerging. Many businesses are responding by creating a digital transformation programme - our new research shows the number of businesses adopting digital transformation programmes is increasing with around one-third having a programme in place and a further third planning a programme within 12-months. Managing digital transformation is a herculean task, but one that needs to be done well if the business is going to continue to grow in a world forever changed by pervasive technology. Our free research report based on a survey of Smart Insights members and Technology for Marketing 2016 attendees explores the approaches businesses use to plan and manage their investments in digital marketing. The challenge of digital transformation has led to the creation of a whole new category of business executive; the Chief Digital Officer or CDO. 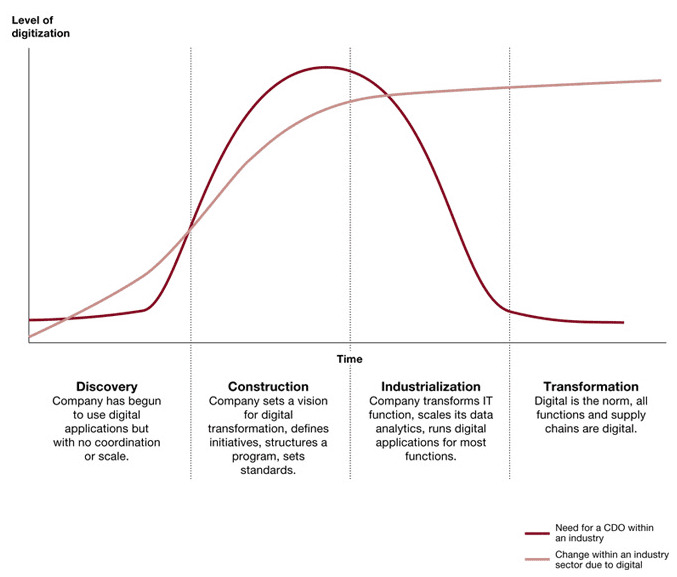 McKinsey has described the CDO as the Transformer in Chief. A new report from PwC charts the rise of this position, and suggests it’s importance will continue to grow over the coming years. How many already have a CDO? Only 6% of companies have a chief digital officer, which in part is explained by the fact many businesses are too small to require such a position. Contrast this to the proportion of businesses with another type of CDO, the Chief Data Officer, which Gartner estimates will reach 90% by 2019. 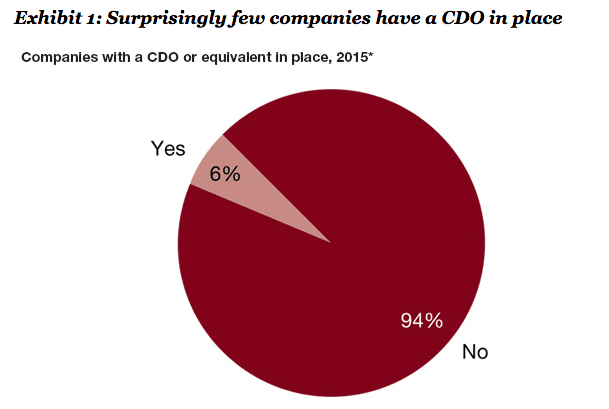 Larger companies generally are ahead of the curve in appointing CDOs. 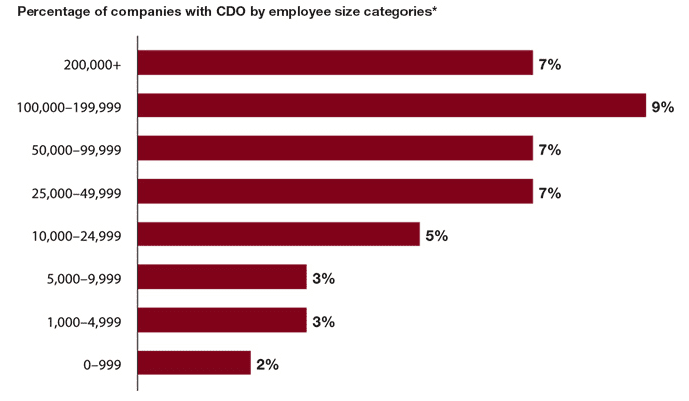 The proportion of companies with more than 10,000 employees that have appointed CDOs is between 5 and 9 percent, but this falls to between 1 and 3 percent for companies with fewer employees. 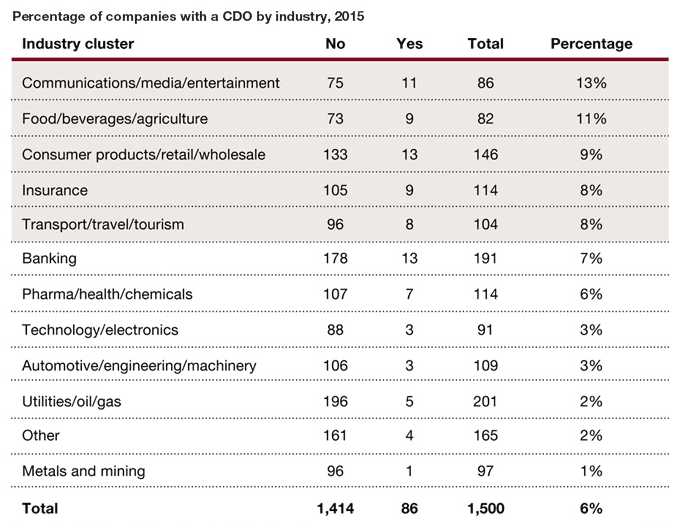 The more consumer-oriented industries were more likely to have CDOs. 13% of media companies had them, whilst 31% of travel and tourism companies had them. This reflects how much digital has transformed those industries, so as we see technology disrupting a whole new set of industries in the coming years, such as healthcare, finance and law, so too will we see the growth of CDO positions. I would conservatively predict that within five years the levels of CDO penetration across the board will be as high as it is in the travel and tourism sectors. 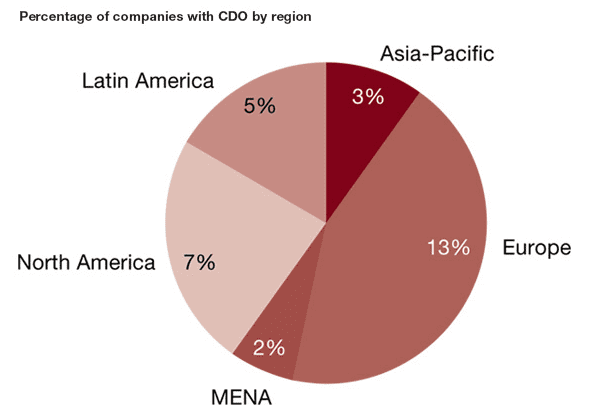 European companies are considerably more likely to have CDO positions than other regions. This may, however be the result of different cultures towards digital transformation, as many American companies may feel that they already have digital in hand, with experienced executives that lead technological changes. Which departments are CDOs recruited from? Being a ‘chief digital officer’ you might expect a lot of CDOs to have a tech background, possibly leading IT departments. Not so. In fact, the most common background for CDOs of marketing, and 2nd is sales. This is probably down to the extent to which marketing has been disrupted by digital, giving marketing officers strong insights into managing digital transformations. 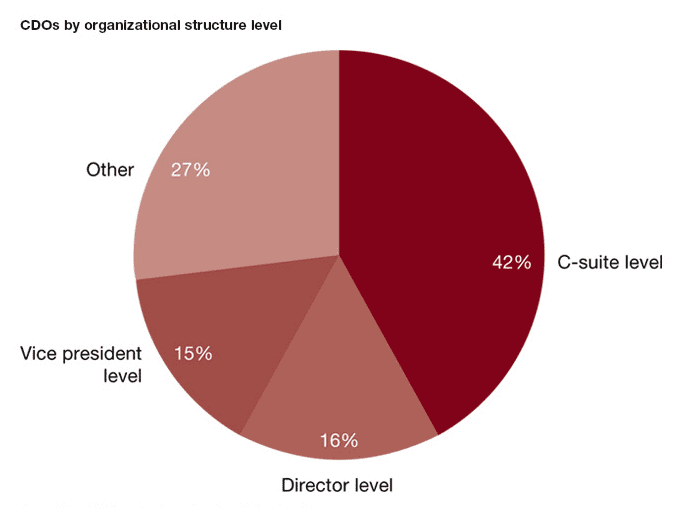 Where do CDOs sit in the organisational structure? As the ‘Chief’ in term name would suggest, the most common ways CDOs are integrated into an organisations structure is at the C-suite level, which is a testament to their importance within major organisations. The answer to this question will very much depend on the size of your business and the sector it operates in, as well as its current state of digital development. Digital officers are required when the business is going through digital transformation, but are a transitional role. Once all aspects have fully embraced and optimised the use of digital technologies, the need for a chief digital officer will evaporate. Railway companies don’t need chief diesel officers to manage the transition away from steam trains, because they don’t use steam trains any more. Therefore whether or not your business needs a CDO will also depend on whether digital is the norm or not in your organisation. For more insights on the current state of the role of chief digital officers, download the report from PwC. For a contrarian look at the future of CDOs, see this article from Forbes. "...once business leaders understand that the Chief Digital Officer is a role born from the apparent need to fulfil responsibilities that are accountable and delivered by each of the C-suite separately in their own duties".